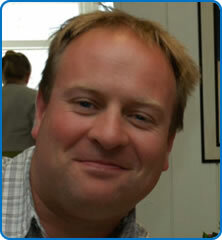 Dr Paul McCoubrie (MBBS BSc MRCP FRCR MEd FFRRCSI (Hon)) trained as a radiologist in Sheffield and Bristol. He is a Fellow of the Royal College of Radiologists, a member of the British Nuclear Medicine Society and a member of the Association for Medical Education. He has a strong interest in medical education (MEd, University of Sheffield 2004). He is Head of Severn School of Radiology, previous Chair of first FRCR Anatomy Exam and internal University of Bristol examiner. He is the Human Factors Advisor for the RCR (2015-2018). His research interests are varied including non-technical skills in radiology (communication, workflow, ergonomics), medical education in radiology and CT colonography.